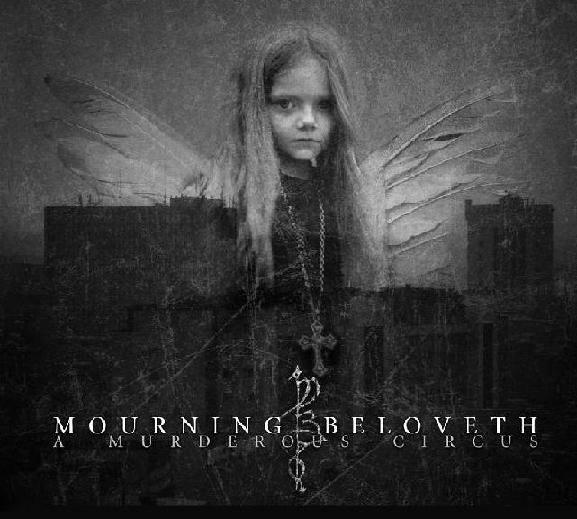 Mourning Beloveth, an Irish death/doom metal band that creates long and slow songs with various vocal arrangements, began in winter 1992 but it wasn't until 1996 that they recorded their first, untitled, demo with Darren (vocals), Frank (guitar), Brian (bass), Tim (drums). Recorded in eight hours with Adrian Butler at the desk this demo contains two songs and is a raw indication of where Mourning Beloveth stands in the doom death scene today. Adrian joined on bass soon after and Brian switched to guitar. This was the line-up that recorded the highly acclaimed Autumnal Fires demo in 1998 (receiving "Demo of the issue" in Moondance magazine). We decided to take a bold step, like so many of their contemporaries, and record in the famous Academy studios with Magz at the helm. What was produced after seven intense days of recording was "Dust", a sixty-six minute Doom masterpiece harking back to the days of the early Doom/Death scene. Dust is a mixture of old and new songs and this creates some of the heaviest and most melancholic music ever. The atmosphere and originality is helped by the greater usage of clean and growling vocals and the amazing production courtesy of Mags.The strength of the material is helped in no small way by the fact that the same line-up had been together for 5 years at the time of recording Dust. 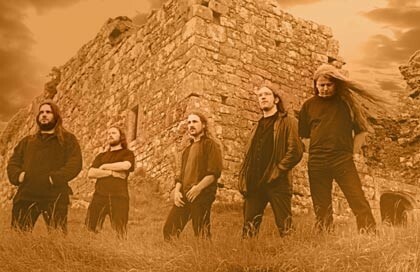 Following the release of Dust, in March 2001, we received rave reviews in many established magazines including Terrorizer, Metal Hammer (Greece), Heavy Oder,Was, Metal Ireland, Doom-metal.com, Aardshock along with many others, mostly seeing the band as the saviours of the Doom/Death style. On the strength of this we played some high profile dates with none other Cradle of Filth that was huge exposure for us; we even managed to play our first gig in the UK, in Bradford. Towards the end of the summer 2001 and into the long winter the writing process began for the new album. It was now February and we had eight songs written, six of which were finally chosen and recorded at Academy studios, again with Magz at the helm, from April 20 to May 5, 2002. "The Sullen Sulcus" is a torturous and epic listen that requires the usual MB listening patience - with six songs over 65 minutes. 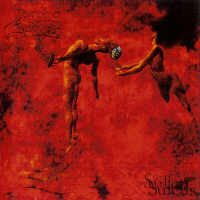 Sentinel Records from Ireland (www.sentinelireland.com) then re-released Dust in February 2003 with new artwork, a new song from the TSS recording sessions and Forever Lost Emeralds (from the Autumnal Fires demo) all of which was remastered by Stuart Anstis. We were hungry to establish ourselves in Europe as well as the live circuit and financed a two week European tour from February 7th to 21st. Entitled "The Doomination of Europe" MB were joined by Americans Morgion who had just reformed and the UK based The Prophecy and it hit Portugal and Spain, stopping off in England, France, Belgium and Holland along the way. The tour was a success, so much so that an American leg was planned for August of the same year and it also gave the underground European doom scene a kick in the arse., showing everyone that with a little organisation and determination anything can be done. In the meantime we recorded a new song entitled Part 1 which was released by Sentinel as a split 7" with fellow dark metallers Lunar Gate from Ireland. it was recorded in Cosmic studios in Ballymun and gave us some new ideas for our next album and has made its mark as a live song too. It was limited to 500 copies. The American tour happened in August that year and Tim couldn't make it so we enlisted the help of our long time friend Anto who decided to sit on a bus with us for four weeks and play some doom. The tour was initially with Morgion, Orodruin and The Prophecy but after one show Morgion pulled out due to an unfortunate car accident and so it was left to us to headline the four week tour. It was a long and arduous tour with vans breaking down, complete city shutdowns, PA's exploding, heads breaking down and the usual lack of money and sleep, add to that the sweltering heat and you have a nice picture of hell but again the people we met on the road, the great shows at the Junkyard, Stoner hands of Doom, Austin made up for this and we also got to see America. While we were there the split 7" was released and we received a copy while in the US. The first MB piece of vinyl! When we returned we recharged the batteries for a month and then got down to writing some new material but this was interrupted by another offer of a tour with While Heaven Wept and Thee Plague of Gentlemen starting off at Doom Shall Rise where we played second so how could we refuse. Doom Shall Rise was an amazing experience; you cannot get much better than playing in front of 500 doom heads in a church. While at the DSR festival we met Tom from Grau records and he offered us a deal to release Mourning Beloveth albums but we had a weeklong tour ahead of us and so we concentrated on that. The DSR tour was also our first gigs in Germany as well as Gronigen and an appearance at Belgian Doom Night. This tour was the most successful for us so far. We have become a tight live unit and enjoy ourselves a lot more on stage now but it was also a success due to the fact that we actually came home with some money in our pockets. Home again for May and we were finding it difficult to write the new material so we decided to set a date of October '04 for the recording of the new album. The songs were sounding a bit different than before and we decided on a new studio following weeks of discussion, finally choosing Studio E in Germany run by Markus Stock. The deadline gave us a goal and so we tried to remember where we left off in January and the new material slowly began to emerge. The contract we had spoken about with Grau on the DSR tour arrived and soon after we became a Grau band for four albums. Time to relax? No! The writing of the new material was arduous and we had to re-write the songs several times. The music this time round is very bare, naked, almost stripped to its core and the album and lyrical content reflected this. 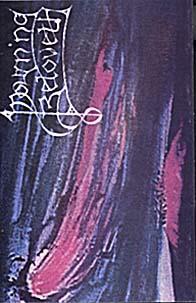 It is still Mourning Beloveth, still two guitars, bass and drums but while more elemental it was also more experimental but only the recording sessions would really tell and so in November 2004 we arrived at Klangschmeide, Studio E in Germany to record what was later to become known as A Murderous Circus.